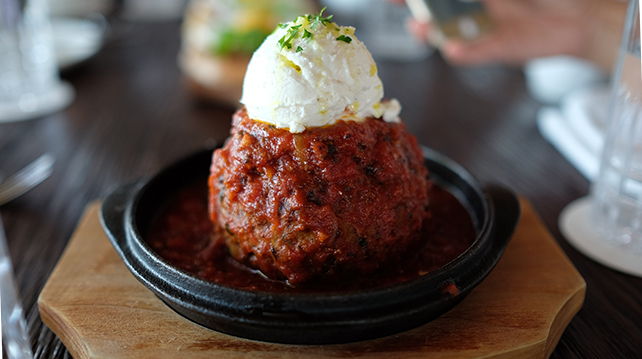 Located at the rooftop of Tower 1, Marina Bay Sands, Lavo Singapore oversees the Marina Bay and Singapore skyline, spreading over a bar, restaurant and outdoor terrace. 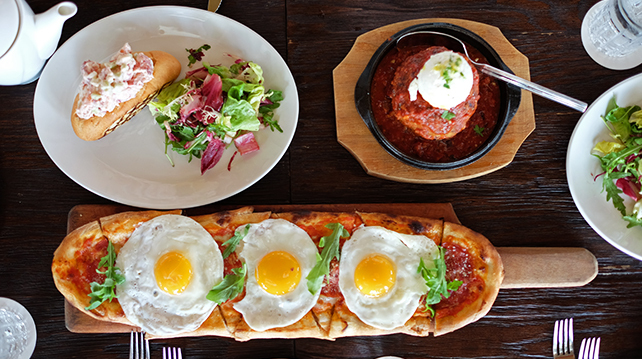 The restaurant channels the 19th century Italian American vibe and its classics, reminiscing the vibrant life of Italian culture integrated into America, bringing their love for food that has evolved into staples in the American dining scene. Think large ground imperial wagyu and Italian sausage meatballs topped with a huge dollop of freshly whipped ricotta, rained over with herbed tomato sauce; sunny side up eggs with their shiny runny yolks and rocket leaves as toppings for the salami pizza; colourful salad that looks like a fairy garden; crispy chicken stacked up on waffles and dribbles of golden sauce decorated with a red hot chili padi… You get the colour contrast that makes you just that happier even before starting the meal. The desserts are the most anticipated part of the menu. Thanks to the Americans who love to super-size everything, the 20-Layer Cake with chocolate and peanut butter is definitely NOT a one-person portion *gasp*. 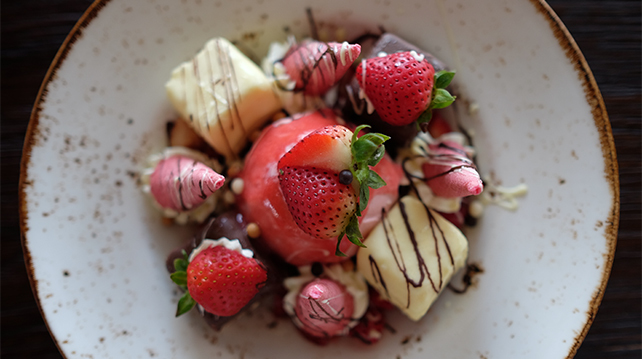 Try the strawberry platter that comes with strawberry cheesecake, cream cones and more strawberries and chocolate; and then there is the alco-dessert Nonna’s Tiramisu with espresso soaked ladyfingers and mascarpone mousse (I’m sure there is also alcohol). After sundown, the place lights up with tunes from live DJs, hand-crafted cocktails finding their ways to guests’ tables and lovers snuggling up at the round leather booths. Order any drink from the menu and you’ll be classy, there is no place for the riff-raff in this chic establishment. Address: Lavo - Level 57 Sands Skypark, Hotel Tower 1, Marina Bay Sands, 10 Bayfront Avenue, #018956 Singapore.